Aharon Liebeskind was born in Zabierzow, a village near Krakow in 1912, and he studied law at Krakow University. In 1938 he became secretary of the Akiva movement, which he had joined at the age of fourteen. 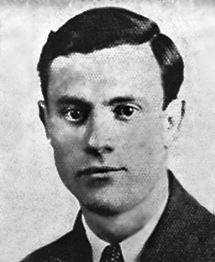 In early 1939 he was appointed national secretary of Akiva and went to live in Warsaw, although he kept his home in Krakow as well, and continued to lead the movement there. As well as the above commitments he also managed to complete his doctoral dissertation. His job kept him in Warsaw until the outbreak of the war. From the outset of the German occupation of Poland, Liebeskind was convinced that the Jews would not be able to live under the Nazis, and he did all he could to get the members of his movement out of Poland. Liebeskind was a charismatic figure, much admired by his fellow members and followers. He did not accept an immigration certificate to Palestine for himself, so as not to abandon his family and followers during these dark times. In December 1940 Liebeskind was put in charge of an agricultural and vocational training programme in the Krakow area, sponsored by the Jewish Self-Help Society, which had it’s headquarters in Krakow. He utilised his position to promote the activities of the Jewish underground in the city, which he had founded and led. Using the society’s official stationery, he distributed leaflets and arranged money transfers to the members of the underground. Liebeskind also arranged for the financing of the Kopaliny training farm, headed by Shimshon Draenger, which served as a cover for underground operations. His post enabled him to move around and thereby to maintain and strengthen contact with fellow members in various locations. 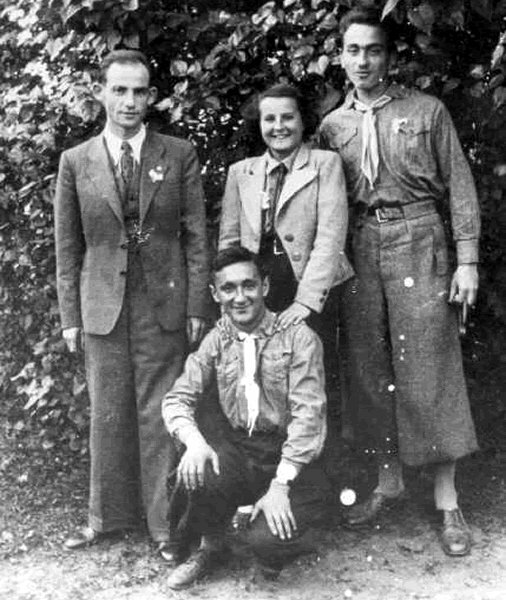 Using couriers like Hela Schüpper, the leaders of this group established contact with other Jewish resistance groups in Warsaw, Tarnow, and Rzeszow, obtained valuable information, and smuggled weapons back into the ghetto. They sent commando groups out into the nearby forests to link up with the partisans and set up a forgery workshop, under Shimson Draenger, to create false papers and documents.